It’s not every day the word “legend” gets attached to a musician, yet that’s rightfully the case for Ernie Krivda. The legendary Cleveland tenor saxophonist will perform in Downtown Lakewood when the Ernie Krivda Quartet brings a smooth jazz sound to LakewoodAlive’s Front Porch Concert Series at 7 p.m. this Friday, Sept. 2. The Ernie Krivda Quartet performs this Friday, Sept. 2, during week 10 of the Front Porch Concert Series. Week 10 of the series brings to the stage the Ernie Krivda Quartet. 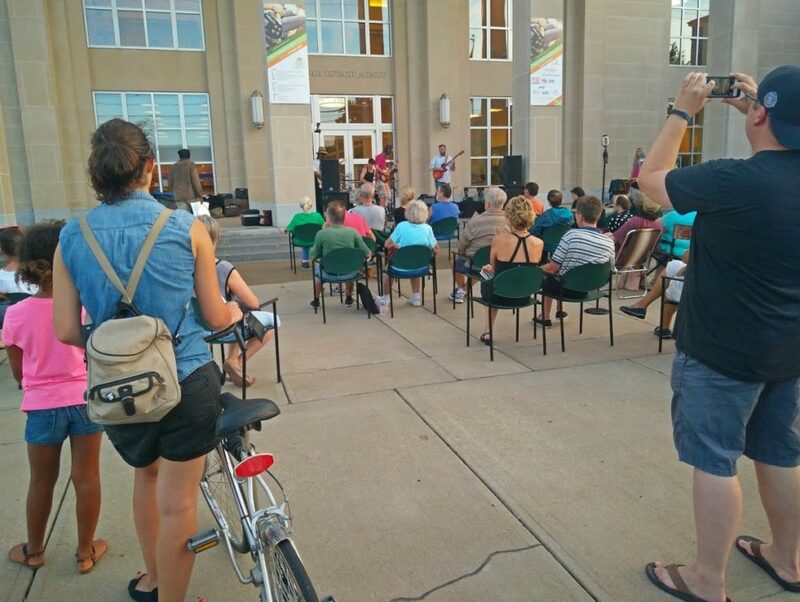 Consisting of Krivda, along with fellow talented musicians Dave Thomas, Bob Fraser and Renell Gonsalves, the foursome will delight the Downtown Lakewood audience with a diverse selection of jazz music. Krivda, currently in his fifth decade as a jazz performer, is renowned by peers and critics alike as one of the great tenor saxophone players of his time. The longtime musician has composed, recorded and performed extensively throughout his remarkable jazz career. In 2009 Krivda received the Cleveland Arts Prize award for lifetime achievement in music. This week’s concert features sponsor Pillars of Lakewood, a member-driven club that focuses on building connections. Stop by and meet the folks who put on the Lakewood Wing Crawl, among other activities.